I know I’ve been very bad at posting this year. I haven’t blogged since January! However, I am back and here for the near future (and I mean it this time). So lets get into it. 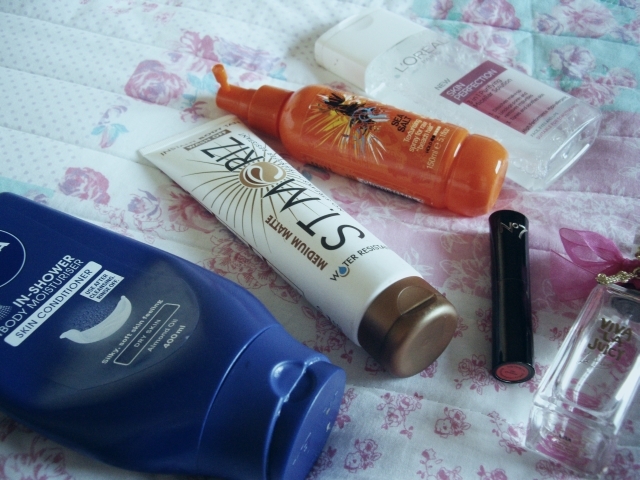 I’ve discovered a lot of new products this summer, some of them I wish I knew about before now as I have loved them that much. September was my last month to enjoy wearing bright colours, keep up with the tan and look after my legs whilst having to whip them out all of the time! This product only came out during the summer and has made me unafraid of getting my pins on show for the past few months. If Nivea thought this idea up, they were absolute geniuses. I hate moisturising; it’s so time consuming and I hate feeling sticky before I get into bed. The fact I’ve been able to combat my laziness while having nice, soft, smooth skin is perfect. All it takes is a couple of minutes, applying the moisturiser after washing off your shower gel. I like to leave it on for a minute or two while it soaks into the skin, before washing it off. Therefore I never need to spend extra time coating my body in moisturiser before sticking to my bed sheets! To continue with my summer ready skin, I discovered St Moriz’s matte, water resisitant instant tan just a couple of months ago. Like the gradual tan, the colour is very olive and applies with the same consistency, so if you’re not wanting an orange tint to your skin I wouldn’t go near this product. However it’s easy to slather on, and dries quickly so you can be dressed and ready to leave in no time. I’ve been using Rimmel’s sun shimmer for years, and however much I’ve loved it, I’ve always found it takes a while to dry. St Moriz does the job and also claims to be water resistant, which I can’t say is completely true, but it holds out pretty well. For £3.99, you can’t really complain. This budget beauty has been compared to the famous Bioderma, the water cleanser and makeup remover that skincare experts love. Now I have never been privileged to try Bioderma, but L’oreal’s 3 in 1 product that claims to dissolve makeup, unclog pores and remove impurities, and tones/soothes the skin is a good enough substitute for me. At around £3-£4 this is a quarter of the price of Bioderma, so already a bargain. I like to use this to remove my makeup before using my Body Shop Seaweed cleanser with a cotton pad. It’s hypo-allergenic and suitable for sensitive skin, so I’m not surprised that it’s never broke me out and my skin always feels clean after. Apparantly the Queen is not only a big fan of No 7, but loves this colour lipstick; I can completely understand why! I’ve been obsessed with this since I bought it way back in July, and I feel sad to have to put it away for Autumn. 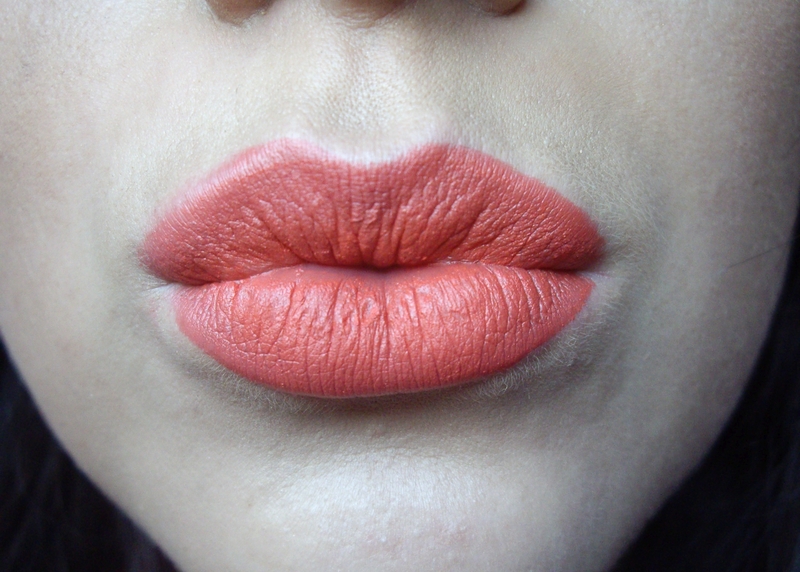 However I love bright coloured lipsticks all year round, and this pinky orange colour is definitely no exception. It’s like a redder version of MAC’s Morange. It applies creamy with a sheen consistency but dries matte, and my favourite lipsticks are always matte. Having a natural face with a pop of colour on my lips has been my easy go-to look recently. Having been a fan of a number of the Juicy Couture fragrances for years, Viva La Juicy has been my all-time favourite. It’s sweet, floral and fruity, but heavy enough for a special occasion like a night out. When Viva La Juicy La Fleur launched last year I contemplated buying it, but for some reason put it off. I finally succumbed at the end of August and bought the 40ml to try, and it’s only been a little over a month and I have less than half of the bottle left! La Fleur is more floral and less sweet and sickly than the original Viva La Juicy. It’s also a lot lighter as it’s only Eau de Toilette; probably the reason why I’ve used so much so quickly. Although it doesn’t last as long on the skin as the original, La Fleur is perfect for the daytime as it’s not too heavy and overbearing. It’s a nice size to pop in your handbag too. I bought the Bumble and Bumble Surf Spray last summer in an attempt to get that messy, beachy hair look. However I found it to be the most extortionate price for such a small bottle; £21 for just 125ml! I used it up in no time, as it did exactly what I wanted, however this summer I wanted to find a cheaper alternative. That’s when I came across the Fudge Sea Salt Spray; at a third of the price £6.99 wasn’t going to break the bank and I was willing to try it. I love it! Even though the sea salt smell isn’t amazing once the coconut scent wears off after a few sprays, it does the same job as Bumble and Bumble. I would use this on dry hair when it was already a bit wavy, then scrunch it up. I’d sometimes also spray it into the roots when it was wet to get a bit more volume and texture. I admit I haven’t used it much recently, mainly because we’re heading into Autumn and I like my hair to be a bit more prim and proper when it gets colder. No idea why! 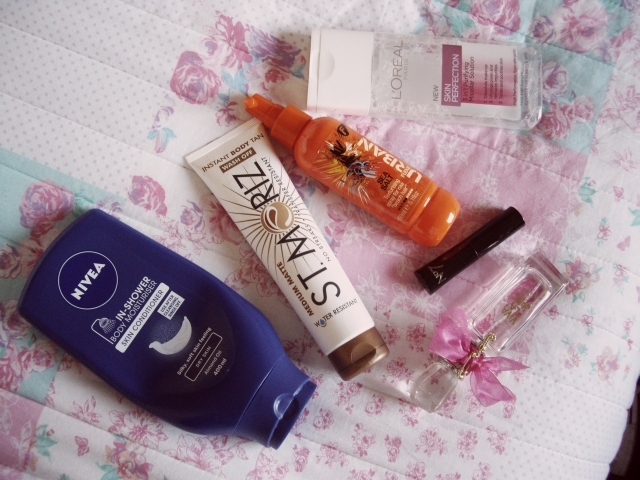 So these were my September favourites. What were you loving last month?